When your air conditioning stops working Santa Clarita, California, it can ruin your entire day. Not only are you uncomfortable and irritable, but now you’re worried about how much money it will cost to fix it. Luckily, Service Masters offer you an affordable and reliable AC repair service. If your air conditioning system has stopped providing you with cold air, turn to us for help immediately. If it’s time to replace or install a new system, you need a team of experts working for you to ensure everything is installed flawlessly. When you come to us, that’s exactly what you’ll get. Our technicians have countless years of valuable experience. No matter how large or small your installation is, you can trust that it will operate at peak performance over the years to come. Energy-efficient solutions and so much more! The more you take care of your air conditioning system, the more it will take care of you. If you’re staying on top of maintenance and repairs, your air conditioning system won’t struggle to keep up with your demand. In return, it will lower your energy bill significantly. We also offer energy-efficient systems to help you get those energy bills even lower. When you call us to schedule an appointment, don’t forget to ask about our money-saving solutions. 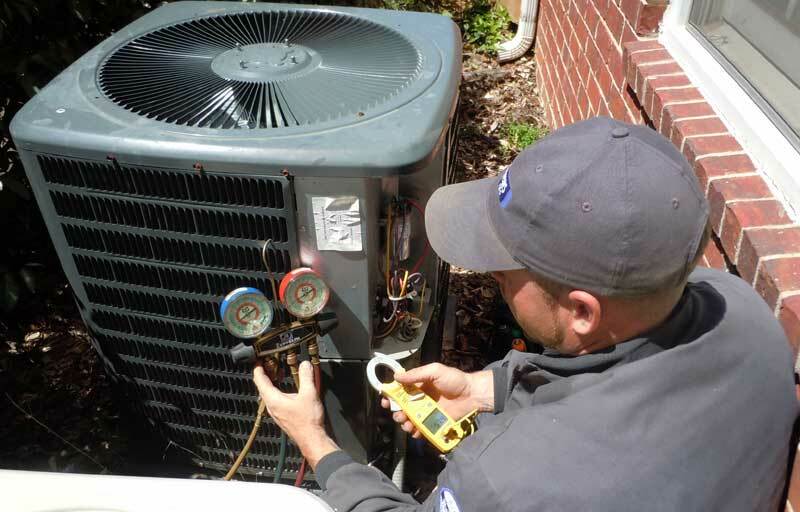 When it comes to air conditioning repairs and installations, we go above and beyond your expectations to ensure you remain satisfied from start to finish. There’s nothing more important to us than you feeling content with the services we’ve provided. That means we won’t leave your home until you’re happy with what we’ve done for you. There’s no need for you to go without air conditioning today. Stop sitting around, feeling miserable, and give us a call. We’ll to your home as quickly as possible to ensure the rest of your day is as comfortable as possible. Don’t need a repair? That’s okay. Call us now to learn more about our affordable installation services. We service the following zip codes 91350, 91380, 91382, 91383, 91390.